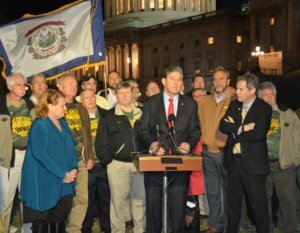 UMWA Members accompanied by elected officials and staff from across the coalfields arrived in Washington, DC to lobby on behalf of the Bill. These Members spent long days on Capitol Hill talking with Senators and House members, filling the galleries of both chambers to listen to hours of debate that would determine the fate of S-1714 and HB- 2403. They attended Congressional briefings and press conferences late into the evenings, encouraging our friends in the Senate to continue the fight. 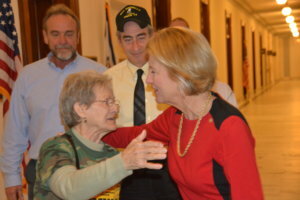 These are the selfless actions that make the UMWA Membership so unique and powerful. When it would have been easier to stay home, these individuals, like all Mine Workers, rose to the occasion and carried the message of the Union to those in power. I am pleased to report that those efforts made a huge difference. It is clear that the current IEB is one of the most active and engaged group of leaders the UMWA has been fortunate to have serve the Union in many decades. It should also be understood that the new members of the International Executive Board are fully engaged in this process and ready to continue the fight. I am so very pleased to have these individuals serve with me on the Board and every Member should be grateful for their unwavering dedication. There is also another significant group of individuals who deserve our deepest appreciation and continued support. There are dozens of elected officials in both houses of Congress who have taken up the Promise of cradle-to-grave health care and pensions for the Nation’s miners. They have toiled beside us to force legislation that will “Keep the Promise” made by President Truman and reaffirmed by a succession of other U.S. Presidents from both political parties since 1946. Their tireless efforts in the past four years were instrumental in securing the health care extension UMWA members are enjoying today.